Access to milk and cheese has been linked to the spread of agriculture across Europe starting around 9,000 years ago. But evidence for cheese production in the Mediterranean has, until now, dated back only as far the beginning of the Bronze Age, around 5,000 years ago. In this study, McClure and colleagues analyzed stable carbon isotopes of fatty acids preserved on potsherds from two Neolithic villages on the Dalmatian coast east of the Adriatic Sea and found direct evidence for much earlier production of cheese. The two villages, Pokrovnik and Danilo Bitinj, were occupied between 6000 and 4800BCE and preserve several types of pottery across that age range. The analysis found evidence of milk, along with meat and fish, throughout this period and evidence of cheese starting around 5200BCE. The residents of these villages appear to have used specific pottery types for the production of different foods, with cheese residue being most common on rhyta and sieves. These data indicate that cheese was established in the Mediterranean by 7,200 years ago when fermented dairy products, being easily storable and relatively low in lactose content, would have been an important source of nutrition for all ages in early farming populations. 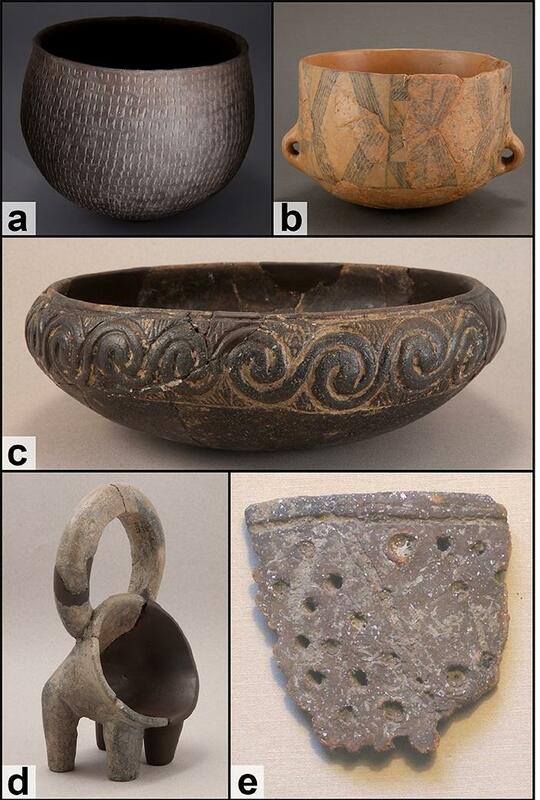 The authors thus suggest that cheese production and associated ceramic technology were key factors aiding the expansion of early farmers into northern and central Europe. This research presents the first evidence of cheese production through identified stages of dairy fermentation in functionally specific vessels in the Mediterranean region over 7000 years ago. We suggest that milk and cheese production among Europe's early farmers reduced infant mortality and helped stimulate demographic shifts that propelled farming communities to expand to northern latitudes. Funding: This research was funded by the National Science Foundation (BCS-14-30823 to SBM, EP and DJK; BCS-0422195 to AM), National Geographic Society (NGS#9146-12 to SBM and EP), Rochester Institute of Technology, The Pennsylvania State University, and the Šibenik City Museum. Funding to DJK and BJC for general laboratory support at Penn State University was granted through the NSF Archaeometry program (BCS-1460369).